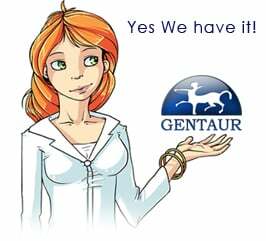 Gentaur antibody-antibodies.com The Marketplace for Antibodies : Recombinant O-GlcNAc transferase isoforms: identification of O-GlcNAcase, yes tyrosine kinase, and tau as isoform-specific substrates. Recombinant O-GlcNAc transferase isoforms: identification of O-GlcNAcase, yes tyrosine kinase, and tau as isoform-specific substrates. O-linked N-acetylglucosaminyltransferase (OGT) catalyzes the transfer of O-linked GlcNAc to serine or threonine residues of a variety of substrate proteins, including nuclear pore proteins, transcription factors, and proteins implicated in diabetes and neurodegenerative disorders. We have identified two nucleocytoplasmic isoforms of OGT (ncOGT and sOGT) and one isoform that localizes to the mitochondria (mOGT). These three isoforms contain identical catalytic regions but differ in the number of tetratricopeptide repeat motifs found at the N-terminus of each enzyme. We expressed each of these OGT isoforms in a soluble form in Escherichia coli and have used them to identify novel targets including the Src-family tyrosine kinase yes and O-GlcNAc-ase. We demonstrate that some substrate proteins, such as Nup62 and casein kinase II, are glycosylated by both ncOGT and mOGT, while others such as O-GlcNAcase and tau are specifically modified by ncOGT. The yes kinase was specifically modified by mOGT. The short isoform of OGT (sOGT) did not glycosylate any of the substrates tested, although it retains a potentially active catalytic domain. Our findings demonstrate the potential utility of recombinant OGT in identifying new targets and illustrate the necessity to examine all active isoforms of the enzyme. The identification of a tyrosine kinase and O-GlcNAcase as OGT targets suggests the potential for OGT participation in numerous signal transduction cascades.